Being a professionally managed organization, all our endeavors are directed towards maintaining cordial business relations with our customers spread across Indian Subcontinent. Equipped with advanced facilities, we have been able to speed up the production process by adhering to various set industry standards. Our team can easily comprehend client's specific requirements and offer solutions according. They specialize in handling urgent demands of our clients and develop the products with precision. All the ordered consignments are completed right on time and delivered at clients’ site with complete safety. 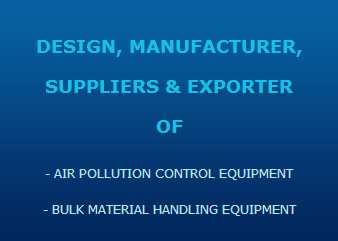 Our expertise also allows us to undertake modification of various existing Bulk Material Handling / Air Pollution Control Equipment. Under the able guidance of our Director 'Mr. N. R. Naik' & 'Mr. B. G. Uchil', we have successfully met the growing demands of heavy machinery for small and large scale units. Owing to his ethical business practices and sheer enthusiasm, our organization has scaled greater heights of success.